Up the style quotient of your bike's security with the Jon Lock combo. 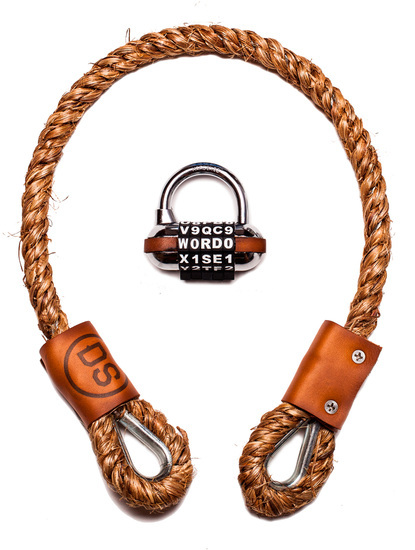 The Jon Lock has the strength to protect your bicycle like any other standard cable lock - and is built to endure the most punishing conditions - but gives your ride a fashionable flair thanks to its real leather and whimsical letter lock. available in a variety of rope lengths, colors of rope, colors of locks and type of locks.